No matter what generation you call your own, you can’t deny this fact: the Millennial generation — those born between 1981 and 1997 — is changing the world and the way it does business. The oldest Millennials are 35-ish right about now. The youngest are finishing high school. Together, they are 80 million strong and are the largest generation in U.S. history. According to studies, one-half to two-thirds of U.S. Millennials are interested in entrepreneurship. In 2011 alone, Millennials started 160,000 new businesses every month. And they’re looking for homes for their startups. Understandably, America’s cities are launching marketing campaigns to entice young entrepreneurs and college graduates to their centers. But how does one determine which cities are most friendly to young startups? The latest NerdWallet report analyzed 181 metropolitan areas in the United States to determine which places are most friendly and the least expensive to launch a business, particularly for those just starting out in their careers. Some top tier cities — think San Francisco, New York, Chicago, Los Angeles, Boston — are home to most of Forbes’ annual 30-under-30 overachievers. But those cities, while full of Millennials, aren’t necessarily economically-friendly to startups and their needs. However, three less-prominent cities show up in consistently in NerdWallet’s 2013, 2014, and 2015 lists. NerdWallet ranking in 2015: #1. Home to the annual South by Southwest Conference and Festival (SXSW), Austin is a rapidly growing technology hub that offers young entrepreneurs a low cost of living (10.9 percent above national average), low unemployment rate (3.5 percent), and a well-educated population (41.5 with a bachelor’s degree or higher). Austin is also home to Dell and the University of Texas, with 50,000 students, so those choosing Austin for a startup will mean plenty of peers to work with and hire from. Austin ranked highest — 17.5 percent — in population ages 25 to 34, says NerdWallet’s 2015 report. NerdWallet ranking in 2015: #5. Like Austin, the Minneapolis-St. Paul area (known as the Twin Cities) is a smart place to live, just under Austin in formal education at 39.3 percent. The cost of living is a touch below the national average (.06 percent) and the unemployment rate about the same as Austin at 3.4 percent. Minnesota is more diverse than one might think, given its Midwest location. According to the Star-Tribune, more than 20 percent of people ages 18 to 34 are people of color and the Twin Cities are friendly to both diversity and business. In fact, it ranks fourth on NerdWallet’s list of best cities for female entrepreneurs. Minneapolis is also a growing tech town and is home to monster brands Target and Best Buy. For those young startups focused on the outdoors, the Twin Cities are a natural fit with a national park that boasts 72 miles of riverfront. NerdWallet ranking in 2015: #6. Although Seattle’s cost of living is higher than average, it is home to a high percentage of young professionals (21.8 percent are between ages 25 to 34). Seattle is also very highly educated with nearly 50 percent of adults with a bachelor’s degree, providing Millennial entrepreneurs with great opportunity for collaboration. 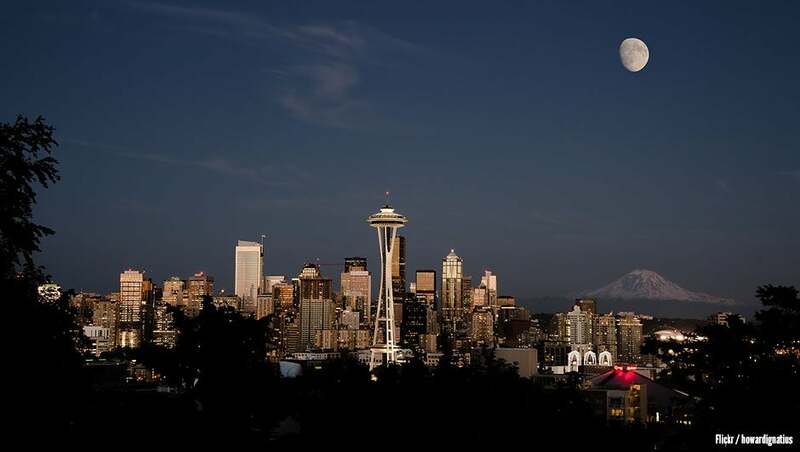 Some target Seattle as the next Silicon Valley, as the tech climate has changed to allow smaller, but sizable, tech companies like Zillow and Expedia to grab a piece of the pie. Forbes ranks Seattle the sixth best place in the country for business and careers and places it at 142 in cost of doing business. Two other locations popped to the top as best cities for Millennial entrepreneurs in another first-time ranking. IT training startup ITProTV talked to 8,000 business owners across the country to determine which cities have the most entrepreneur-friendly climates. As part of that survey, they looked at answers from founders under age 34 to get a better idea of those places likely to welcome young business startups. At the top of the list: Birmingham, Alabama, and Boise, Idaho. Time will tell whether these two cities one day become the next gathering places for Millennials.